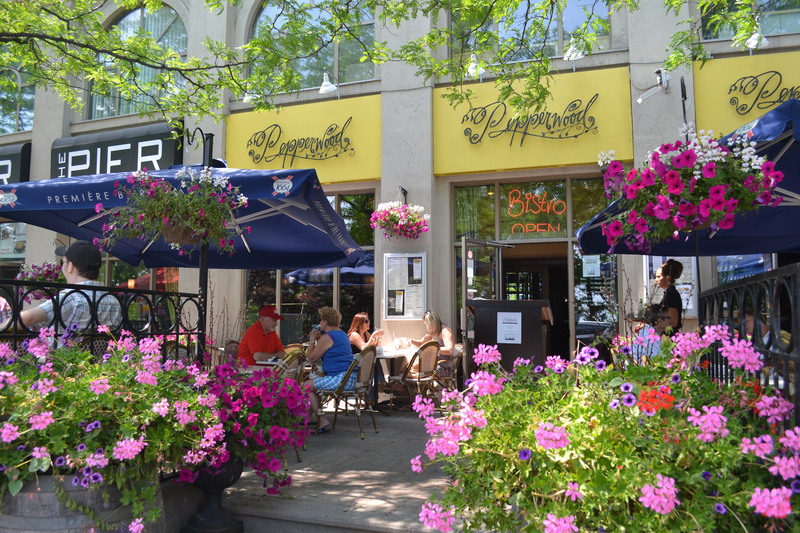 When my grandma asked me where I wanted to go for lunch that day for a little outing, my mom suggested Pepperwood Bistro. I had never tried it before, despite driving past it multiple times, so we decided to give it a go. The outside of the restaurant won me over. The yellow awning and neat “Pepperwood” font gave the restaurant a whimsical and cute feel. The patio was huge, with sun umbrellas covering the tables and had a fantastic view of Lake Ontario.Unfortunately there was a long wait to sit outside (it was a really nice day out). Although we would have preferred eating outdoors, we didn’t mind sitting inside, especially after seeing the classy décor and comfy booths on the inside of the restaurant. We were seated at one of the booths and were given a lunch and breakfast menu. 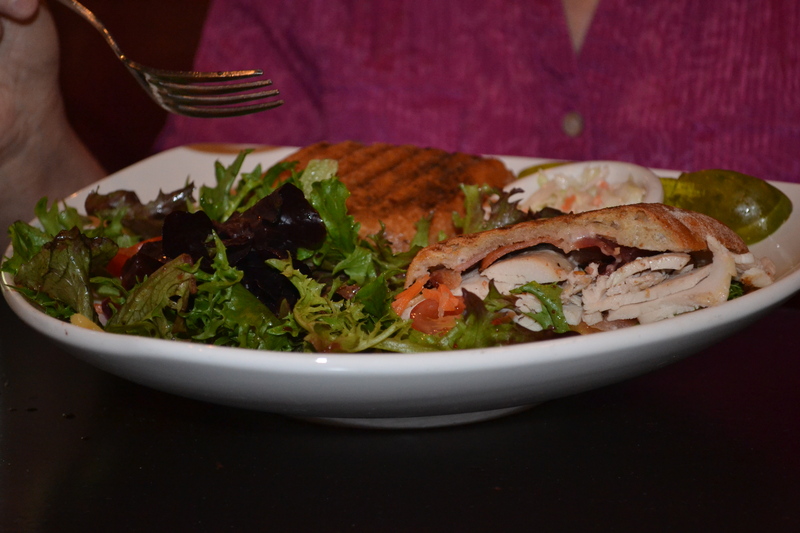 All of us opted for the lunch menu, consisting of seafood, wraps, sandwiches and burgers. We decided to get calamari for an appetizer, and it was brought to our table quickly along with our drinks. The calamari was soft and well-seasoned. My personal favourite was the horseradish dip that came with our calamari – it was delicious! For my main lunch, I chose a classic burger – with tomatoes, lettuce (and all the classic burger toppings) that came with thin and crispy fries. The fries were definitely my favourite, and the burger one of the best I’ve had, as I’m not normally a fan of burgers. The bun was crafted by local artisans and you could definitely tell, it was crispy on the outside and soft on the inside – perfect! Although I could not finish the burger because of its large size and my bird-like appetite, my dad was happy to finish my leftovers as soon as I returned home. My grandma chose a turkey wrap and replaced her fries for a garden salad. She loved the garden salad, and couldn’t finish the wrap either. We don’t suggest visiting this restaurant if you’re in the mood for a light lunch, definitely bring your appetite if you’re going to visit! I highly recommend this restaurant – the atmosphere is perfect for a lunch or dinner with family and friends, and the diverse menu is guaranteed to please everyone in your party. However, we would have preferred more vegan and vegetarian options!